If it’s really that good … I could be getting one of these myself! The folks over at HD Tecnología have managed to snag some renders of ZOTAC-s upcoming renditions of the RTX 2060 graphics card, which has been getting more and more significant in the rumor mill as its release date (for now thought to be around January 15th) approaches. For now, two models seem to be planned: the AMP and Twin Fan models. Both models feature the same cooler design, with angular, jet-like contours and a non-explosive gray and silver color scheme. 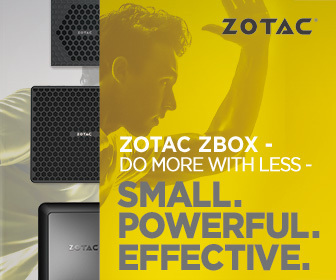 The power connectors seem to be of the 8-pin type, and the design is being compared with that of the RTX 2070 Mini, also from ZOTAC – which it is. And that should mean similar dimensions and, likely, the same output connectors – 1x dual-link DVI-D connector on card, 3x DisplayPort and 1x HDMI, with an MIA VirtualLink port.